The Lakers are 3-5 and depending on what perspective you carry, this is either very upsetting, about where they should be, or maybe somewhere in the middle. Based on the Lakers point differential, they should have one more win than they do (hello Minnesota loss) and if you’re looking for a bright side, they’ve been in every game. Recent reports that Magic Johnson yelled at Luke Walton the day after Monday’s loss to the Wolves are frustrating in their own right, but I’m still on the patience train. The Lakers have played a tough schedule, but basically every game has been a close one (win or lose). The organized portions of their offense need work and their defense is substandard. They also need to figure out their rotations. The flip side is that they’re working closer towards finding the groupings that work, their transition offense is bananas, and despite the halfcourt struggles on O they remain in the top 10 in efficiency on that side of the ball. I’m not sure if this is the worst the Lakers will be this year, but if it is, we should all be encouraged. Anyways, the Lakers are back in Portland tonight for the 2nd time in the season’s first two weeks and then head back to LA for a matchup with the Raptors on Sunday. A road/home back to back is rare and hard enough, but the quality of these teams makes this a gauntlet of a two game stretch. The Lakers would do well to only win one of these games, but considering it’s literally been years since the Lakers beat the Blazers anywhere, much less in PDX and that the Raptors look like one of the best teams in the league (and maybe the 2nd best behind the Warriors), we should not be surprised if LA comes out of the weekend 3-7 through 10 games. That sounds bad, I know. But take a deep breath, things are going to be alright (I think). Back to Portland, I don’t have much to say about this specific game since these teams really did just play. 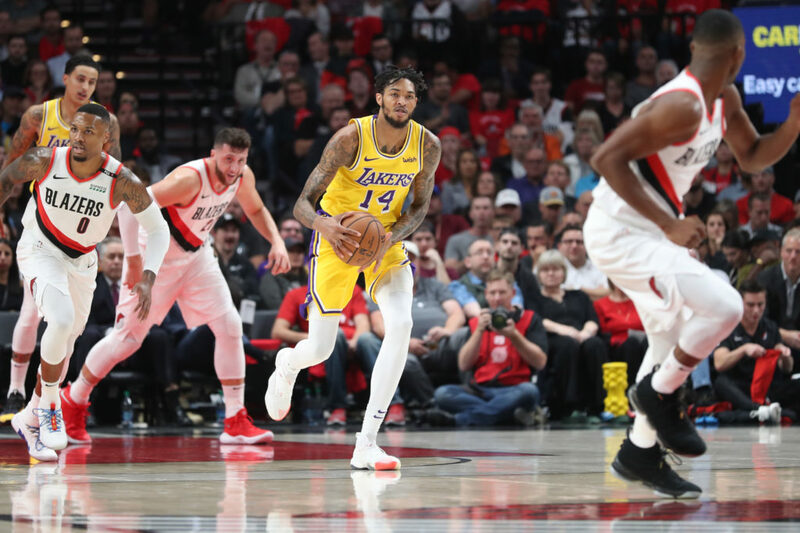 The Lakers need to shoot better than they did the first match up and must figure out a way to slow the Blazers’ 3-point heavy attack. Dame and CJ are absolute killers, but if Aminu and Zach Collins and Sauce Castillo and Seth Curry end up getting hot too LA will likely not have a chance at all. 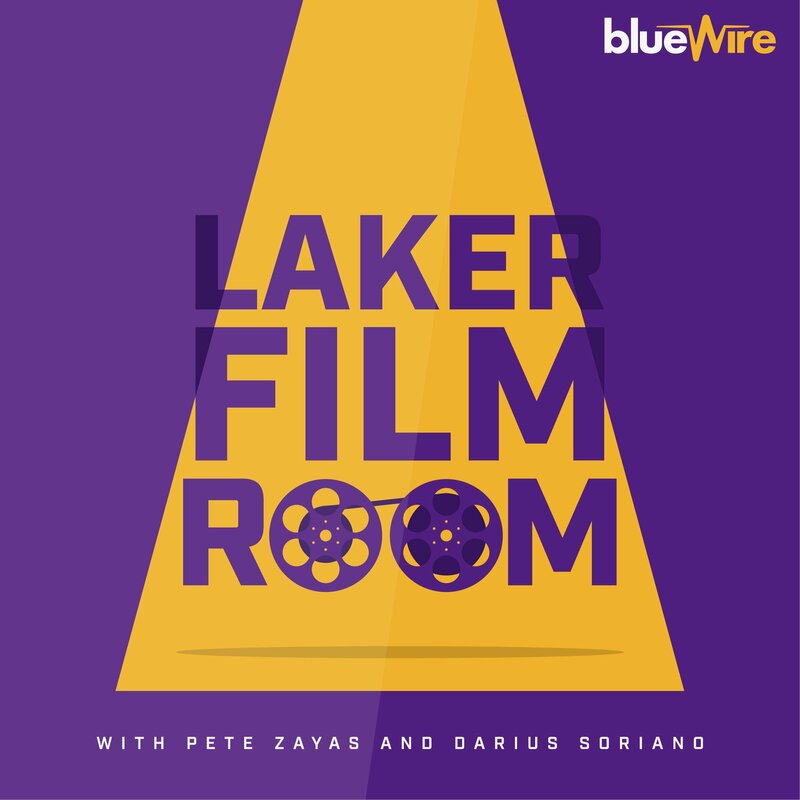 The Lakers must recover to the 3-point line, run guys off those shots, step up into help situations to force mid-range shots, and then gang rebound. If that sounds like a lot of work, it is. But playing good defense is a lot work so…sorry guys, but you need to start. Offensively the Blazers have some very good athletes, but can be taken advantage of in transition if the Lakers are good at securing defensive rebounds. The Lakers, of course, want to run and they’ll do well when creating those opportunities, but they’ll also need to be smart with the ball, avoid turnovers, and then when the game slows down generate better looks in the half court by advancing certain aspects of their offense and promoting more of the actions they’ve used in recent games vs. what they were doing early in the year. If you recall, on opening night, the Lakers were still running a lot of their 1-4 UCLA action with high post and direct wing entries which triggered ball side cuts and weakside cross screen actions where LeBron could pick out cutters. Recently, though, the Lakers have gone more to their “pistol” sets which are initiated with dribble handoff exchanges between the wings which then flow into various pick and rolls, using their delay series to trigger side to side ball movement, and then their dribble weave actions at the top of the floor to get Kuzma and Ingram the ball on the move to attack going downhill (or in Kuz’s case, open 3’s at the top of the key). These are different looks than the Lakers gave the Blazers early in the year and the hop is they’ll have more success this time. But, again, if the Lakers cannot defend, they’ll very likely lose. It’s really that simple. Winning shootouts are hard in general, but doing it on the road against a team with a bit more continuity than you is even harder. So, the Lakers will need stops — and especially timely ones. Can they get them? I feel like I’ll be asking that a lot this year. Where you can watch: 7:00pm start time on Spectrum Sportsnet.